Tracks A1 and A2 recorded in New York, May 17, 1937. Tracks A3 through B4 recorded in New York, March 26 and April 23, 1937. White label with red print. 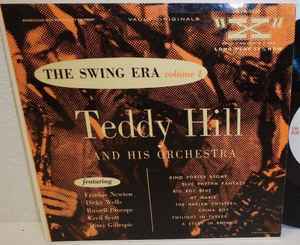 Cover names artist as "Teddy Hill And His Orchestra." Label reads "Teddy Hill And His NBC Orchestra."